Don’t you agree that “Getting There is Half The Fun” is one of the best ad slogans of all time? This is one of the Cunard posters made for this campaign in the mid 1950s. It came to me 20 years ago in a tube with many other Cunard posters from this advertising run. 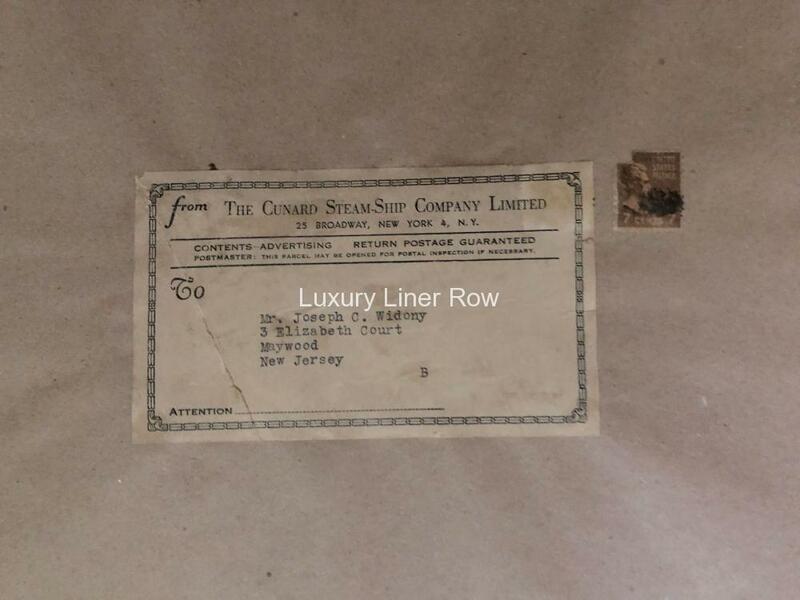 The tube still had Cunard’s original mailing receipt from 1954 from the New York office. In excellent condition. 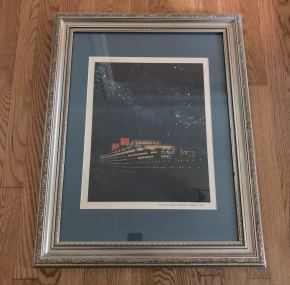 Frame comes with it, but if you wish, I will remove the poster from the frame to make shipping easier and less expensive. 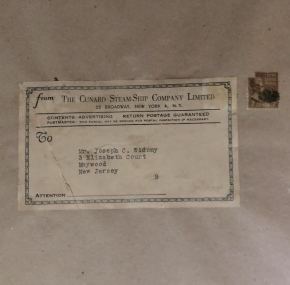 Overall with frame, it measures about 29.5″ x 22″.